Madan Lal Puri's parents were Ganesh Das and S W Puri. He was born in Sialkot in the Punjab which was part of India. At this time India was ruler by the British although through the first eighteen years of Puri's life there was increasingly violent Hindu-Muslim conflict and vigorous protests demanding Indian independence. Despite the attempts by the British to offer reforms and concessions, these years saw the inevitable moves towards independence. However, the situation was more complicated for there were compelling Muslim demands for a separate state. In July 1947 the British Parliament passed the Indian Independence Act which created separate countries of India and Pakistan by mid August. The larger part of the Punjab was to be in Pakistan, the smaller eastern part in India. Once the borders were known there was a mass migration and over 10 million people became refugees. Puri's family were in the region which was to become Pakistan and they fled as refugees to Delhi. Over a million people died in the fighting which ensued but Puri and his family survived. Puri was studying mathematics at Punjab University when the split occurred. We should explain that Punjab University was founded in 1882 and was based in Lahore but ran colleges in many parts of what was then northern India. After the split in 1947 two separate universities were created. The Punjab University in Lahore lost those colleges which had ended in India after the lines were drawn, and a new Punjab University in Chandigarh, India, was created to run the these colleges. Puri was awarded his B.A. degree in 1948 from the Punjab University in India and continued to study there for a master's degree which was awarded in 1950. In January 1951 he was appointed as a lecturer in mathematics at Punjab University of India and he taught mathematics at several different colleges between January 1951 and August 1957. 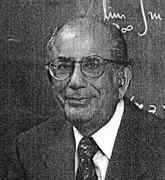 In September 1957 Puri moved to the United States being appointed as an instructor and graduate student at the University of Colorado in Boulder. After a year he moved to the University of California at Berkeley where he was a research assistant in statistics. There his doctoral studies were supervised by Erich Lehmann and Puri was awarded his doctorate in 1962 after submitting his thesis Asymptotic Efficiency of a Class of C-Sample Tests. Also in 1962, on 24 August, Puri married Uma Kapur; they had three children. After the award of his Ph.D., Puri was appointed as an assistant professor at the Courant Institute of Mathematical Sciences in New York. Examples of papers he published around this time are: Asymptotic efficiency of a class of c-sample tests (1964); (with S Bhuchongkul) On the estimation of contrasts in linear models (1965); Some distribution-free k-sample rank tests of homogeneity against ordered alternatives (1965); On the combination of independent two sample tests of a general class (1965); On a class of testing procedures in linear models (1965); and On some tests of homogeneity of variances (1965). Non-parametric methods in univariate analysis. Non-parametric methods in multivariate analysis. Non-parametric methods in design and analysis of experiments. Limit theorems, rates of convergence and related topics (independent case). Time series and related topics. Fuzzy set theory and related topics. On February 20 at a dinner in his honour, it was my great pleasure to honour Madan Lal Puri as College of Arts and Sciences Distinguished Research Scholar. This rare designation is reserved for those who have become world leaders in a field while on the College faculty, and whose collected works are published because of their archival value. The medal with which Professor Puri was adorned is testimony to his scholarly contributions to the world of statistics and to Indiana University over his illustrious career. Professor Puri's research has lead to his being considered one of the most versatile and prolific researchers in the world in mathematical statistics in the areas of nonparametric statistics, order statistics, limit theory under mixing, time series, splines, tests of normality, generalized inverses of matrices and related topics, stochastic processes, statistics of directional data, random sets, and fuzzy sets and fuzzy measures. Indeed, Professor Puri is to be commended for the 'Puri-Sen Era' in mathematical statistics. A scholar's work is never complete, and Professor Puri has certainly proved that by giving of himself in organizing international conferences and serving as editor-in-chief of the Journal of Statistical Planning and Inference. His work in nonparametric statistics and probability theory has had profound effects on the way statistics is understood and applied. The methodology that he developed in the statistical design and analysis of experiments has paved the way for the development of clinical designs, epidemiological investigations and environmental studies. Madan Puri's name would be found on almost any statistician's list of three outstanding contributors to the world of nonparametric statistics. No one in the whole world has worked in as many aspects of this field as he has. ... in recognition of past achievements in research and teaching. He was also a Distinguished Visitor at the London School of Economics and Political Science in 1991.